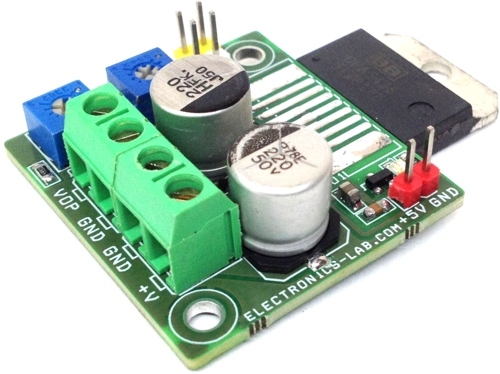 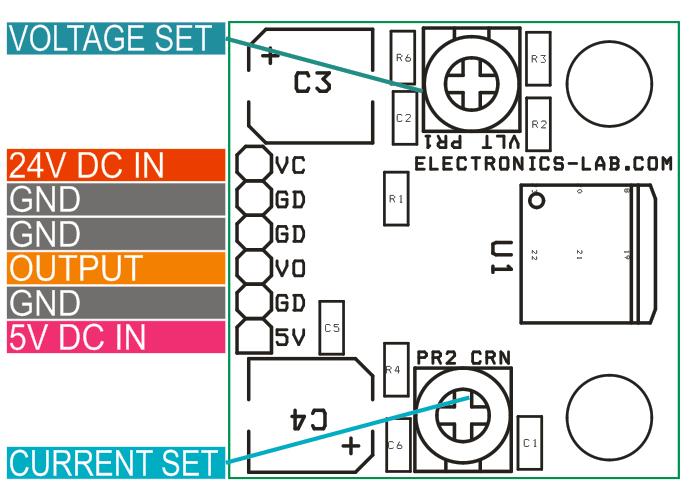 Project provides 1.2 to 20V DC output with current limiter adjustable to 0-5A. 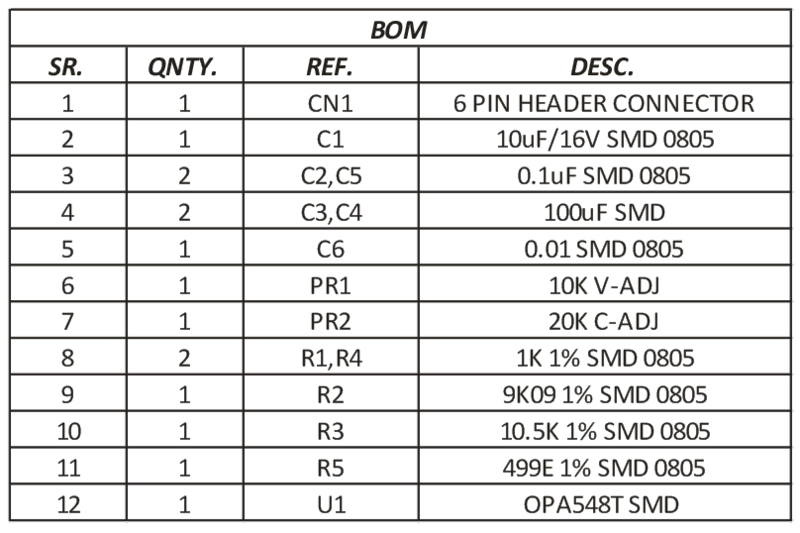 I have tested the circuit with 250mA output without a heat sink. 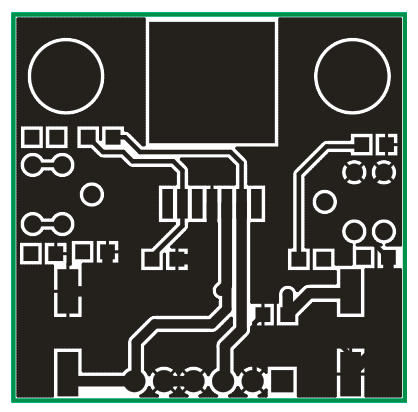 Project is capable to drive 3A continues load and 5A peak, large size heat sink required for full load. 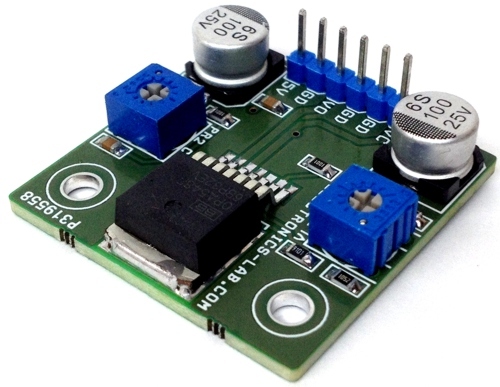 The tiny power supply based on low cost OPA548 high-voltage and high-current operational amplifier is ideal for driving a wide variety of loads. 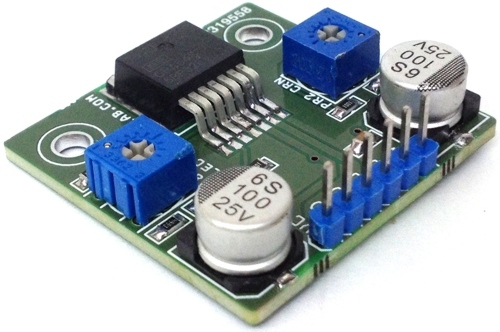 The project provides excellent low-level signal accuracy and high-output voltage and current. 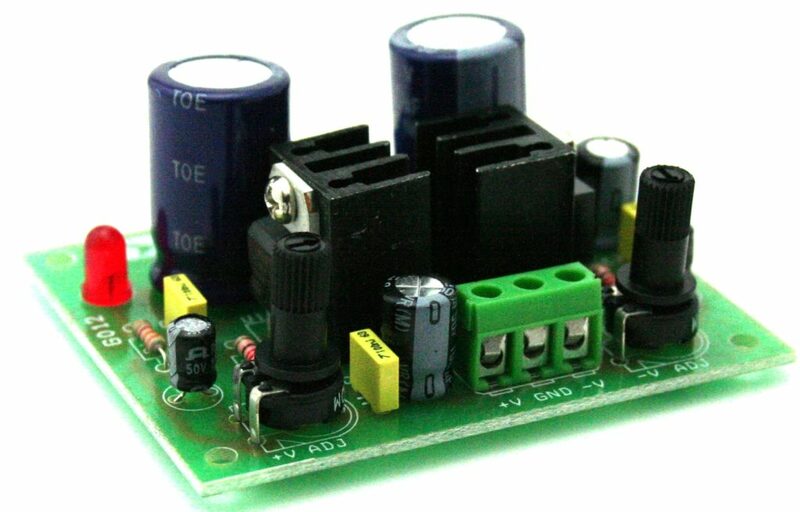 The circuits operate with single supply 24V DC and logic supply 5V DC. 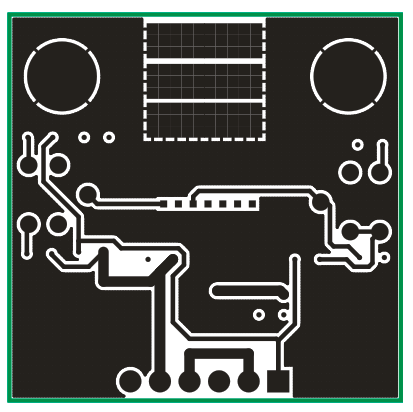 The IC is internally protected against over-temperature condition and current overload. 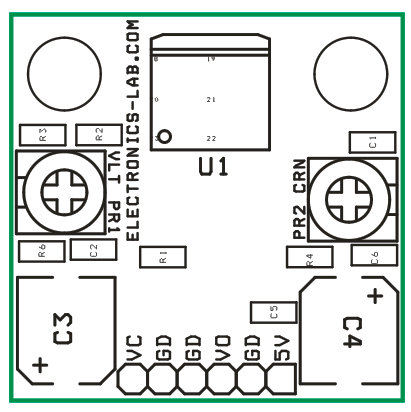 Trimmer potentiometer PR1 sets the output voltages, PR2 helps to set the current limit 0 to 5Amps. 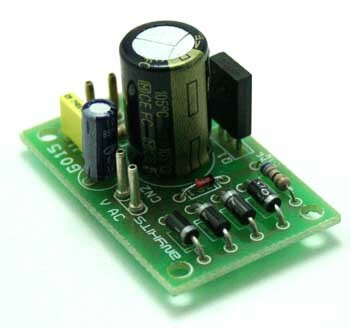 Note: Higher Out voltage 1.2V to 25V possible with input supplies 30V DC, replace capacitor C3, C4 for higher voltage.